Even the most seasoned UFOlogist will tell you that it’s wise to be skeptical of alien abductions. But the Travis Walton alien abduction story is one that’s incredibly hard to disprove. In fact, no one has ever been able to truly debunk this case. Many people who have been abducted by aliens can only offer their version of events, but Travis Walton had six friends to corroborate his story of being picked up by a UFO one night in 1975. Before Travis Walton was a world famous alien abductee, he was just a simple logger living in Arizona. 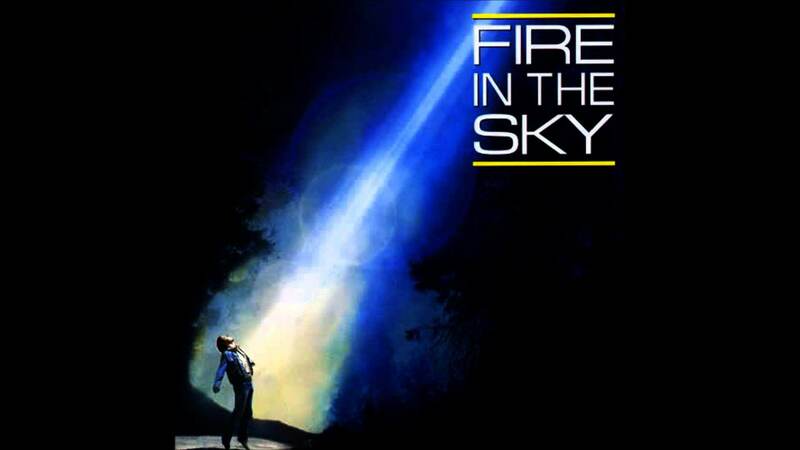 But after his abduction, his story was turned into the film Fire in the Sky, and he began a lifelong mission to prove that he had survived being picked up by extraterrestrials. Walton’s story is truly interesting. He explains how to survive an alien abduction, and why he thinks he was abducted in the first place. Keep reading to see if you believe Walton’s tale or if you think it’s all a bunch of baloney. Why Did Walton Approach The Craft? In an interview with the Huffington Post, Walton explained his desire to have a close encounter with the alien craft. After the craft started to move, Walton says that he jumped away and tried to run towards the truck, and that’s when he was hit with the beam of light. Walton says that when he was hit with the “long blue flame,” his body went numb. He believes that it may have been an electrical blast that zapped him, but even he admits that he’s not entirely sure what hit him. Where Did Travis Walton Go? When Travis Walton woke up after his abduction, his first thought was that he had been taken to a hospital. He told Huffington Post, “There was a light above me and I could hear the sound of movement around me.” After noticing the three creatures staring at him with brown quarter sized pupils, Walton realized that he was on an alien space craft. Understandably, Walton freaked out and tried to fight off his captors who were described as being around 5-foot-tall with “marshmallow” colored skin. Walton was so weak that he couldn’t take on the alien captors in a fight, but he could run away, so he sprinted into the heart of the ship. After escaping the three alien examiners, Walton found himself in a mysterious room with nothing but a chair and a control panel. He circled the room to make sure he was alone before sitting in the chair to collect his thoughts. According to Walton, as soon as he sat down, a collection of lights filled the room. He noticed that it was similar to that of a planetarium and when he adjusted a lever on the side of the chair he was able to control the star map that was displayed in front of him. After leaving the chair, the star map disappeared and someone slipped into the room. Rather than finding one of the five-foot-tall examiners, Walton was face to face with a six-foot-tall human wearing blue coveralls with a glassy helmet. While trying to ask the man questions, Walton realized that he couldn’t understand a word that the guy was saying – probably because of the helmet – and that his eyes were a bright gold color. The man led Walton through the ship, showing him a kind of hangar, and another ship, before leading him to another examination room where he was knocked out by one of the examiners. Five days after he disappeared from the forest outside Snowflake, Arizona, Walton woke up on the side of the road in Herber, Arizona – 30 miles southwest of where he was last seen. He remembers seeing the alien craft close its door and float away into the distance. After the craft left, Walton ran into town and tried to find someone to help him, but the town was conspicuously empty. He ended up getting in touch with his brother-in-law at 12:05 am and about an hour later he was back in civilization, although he only believed that he’d gone for about an hour and a half. What Happened On Earth While Walton Was In Space? While the idea that a crew of loggers murdered their boss sounds enticing, some of the less inflammatory members of the media just assumed that the crew was joking about the abduction and that it had gotten out of hand. After the scrutiny that the crew was put through, they probably wish that they had pulled off the world’s longest prank. Once Walton returned from the ship, his family did their best to keep him out of the public eye, but that wasn’t going to happen. In the five days that he’d been gone, the media and UFOologists had descended on Arizona to cover this insane story. Rather than giving the abductee time to recuperate, he was immediately put on the defensive. He was quickly given a lie detector test that he failed. Depending on which side of the story you believe, Walton had either been through a massive amount of trauma and shouldn’t have been expected to answer questions under duress, or he’d just returned from hiding in the woods for five days and hadn’t fully figured out his story. Whatever the case, when Walton was given subsequent lie detector tests, he passed with flying colors. Even though Travis Walton’s story is completely backed by MUFON (The Mutual UFO Network,) there are some people out there who don’t think that anyone was actually abducted by aliens in this scenario. The most vocal of Walton’s proponents was Philip Klass, a UFOologist who believed that most UFO sightings were cases of ball lightning or just straight up hoaxes. Klass also claimed that Walton had watched The UFO Incident, a made for TV movie about the abduction of Betty and Barney Hill a few weeks prior to claiming that he had been abducted. Klass felt that Walton was either inspired by the film to pull of a hoax or that he was confusing his memories with scenes from the film. According to Travis Walton, the area where the UFO blasted him with a mysterious ray before abducting him has begun to experience a strange amount of growth. After coring out a section of trees in the area and submitting them for testing, it was concluded that something weird definitely happened to the area where Walton says he was abducted. Tests indicate that for 15 years after the abduction the trees experiences rapid growth. Furthermore, the tree trunks that faced the UFO have a series of rings that are incredibly wide and elliptical, rather than the standard concentric rings that most trees have. Tests also show that there was some chemical change in the soil, although further investigation has to be done to determine the cause of the change. It’s believed that most alien abductions occur because extraterrestrials want to study our bodies, put chips in us, and possibly create alien-human hybrids. But Travis Walton doesn’t feel like that’s why he spent five days aboard an alien vessel. Walton believes that his crew stumbled upon the aliens who were doing some research and that he wandered too close to their beam. After he was zapped with an accidental energy blast from the ship, Walton feels like the aliens wanted to make sure he was okay so they air lifted him into their ship.